Do the surprise victories of Sharron Angle and Christine O’Donnell in the 2010 Senate Republican primaries mean that seemingly fringe candidates like Michele Bachmann, Herman Cain, or even Ten Commandments judge Roy Moore have a chance? That’s what many pundits have been saying. Indeed, just last week, TNR’s own Jonathan Chait touted Bachmann’s chances by observing that “the 2010 election cycle featured a long series of conservative upstarts shocking the mainstream media by knocking off establishment-approved candidates in nominating contests.” A presidential nominating contest isn’t so different, he noted, because it’s just “a series of state-level nominating primaries generally dominated by an activist base.” While that may be generally true, a careful look back at 2010’s surprise Senate primary victories reveals more differences than similarities with the upcoming GOP presidential nominating contest. To begin, one issue with Bachmann and Cain isn’t how conservative they are, but rather that backbench members of the House and talk show hosts (or, if you prefer, pizza magnates) don’t exactly have conventional credentials. This is one key difference between them and, say, Marco Rubio, who had been Speaker of the Florida House of Representatives before demolishing Florida’s governor and becoming a senator. I’d put Rand Paul, another conservative candidate who managed to pull off a primary upset, in this category as well: Being Ron Paul’s son ensured instant and generally favorable name recognition among primary voters. But what about the successful Republican nominees in 2010 who didn’t have conventional credentials—Sharron Angle in Nevada, Christine O’Donnell in Delaware, Joe Miller in Alaska, and Mike Lee in Utah? 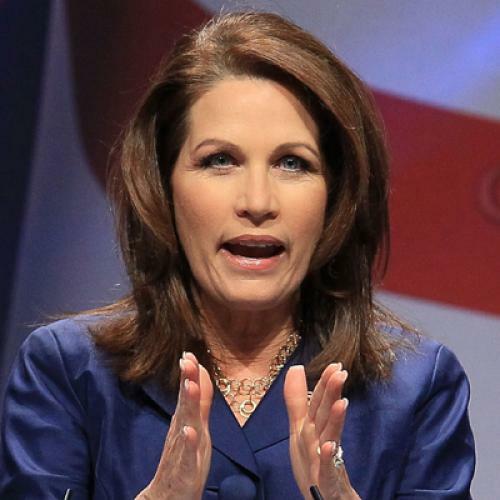 Don’t they provide a precedent that should give hope to Bachmann and Cain? Let’s start with Mike Lee in Utah. He didn’t have to run in a primary with a large electorate; he defeated incumbent Senator Bob Bennett at a state party convention, following a very low-visibility set of caucuses. It’s a stretch to compare that process even to the Iowa caucuses, and presidential candidates must win large primaries as well. Sharron Angle, on the other hand, won a multicandidate primary with 40 percent of the vote in Nevada. That’s impressive, and suggests that a candidate without normal credentials might do well in Iowa and New Hampshire before the field narrows, but it says little about what would happen, eventually, in a two-person contest, in which a candidate must be able to win more than half of the votes. John McCain in 2008 was one of the most marginal winners ever, but he was able to clear 50 percent in several states—New York, New Jersey, and Connecticut—and come close in others, even with several candidates still in the race. Then, once it was down to McCain, Mike Huckabee, and Ron Paul, McCain had no trouble at all clearing 50 percent. What about Joe Miller in Alaska and Christine O’Donnell in Delaware? Neither of them had conventional qualifications for office, and both won head-to-head contests in primary elections. But there’s a major factor in both contests that almost certainly won’t be present in the 2012 Republican presidential race: Both Miller and O’Donnell faced opponents who were squishy, at best, on the core Republican issue of abortion. Senator Lisa Murkowski in Alaska is a moderate on the issue; her interest group ratings have been all over the place over the years, and she had to defend the votes that gave her a 100 percent rating from the National Family Planning and Reproductive Health Association in 2007-2008. In Delaware, Mike Castle had a similarly mixed record, with just a 10 percent score from the National Right to Life Committee in 2006. No one who reaches the final round of the presidential race on the Republican side will be a moderate on abortion, so these examples, too, don’t really tell us much about how 2012 could unfold. (Mitt Romney may be weak on the issue because of his past positions, but conversion is a completely different story from ongoing squishiness.) Upon closer inspection, what the 2010 races really tell us is that in low-profile elections—and state nomination battles are relatively low publicity even when they are as hotly contested as some of these were—odd things can happen. But none of them, it turns out, were as odd as it would be for Bachmann or Cain to win a presidential nomination.